Which is the best beach in Port Dickson? 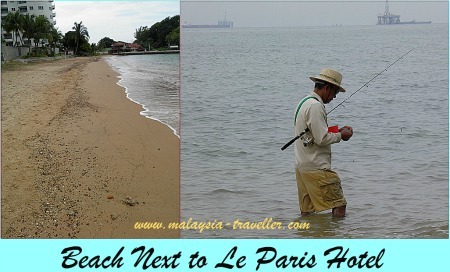 Here I review a dozen top Port Dickson beaches and give you my suggested rankings for the top four. Port Dickson is the closest decent beach resort to Kuala Lumpur which accounts for its fame and popularity. It is not just one beach but rather an 18km strip of coastline in Negeri Sembilan state with a series of beaches, some better than others. 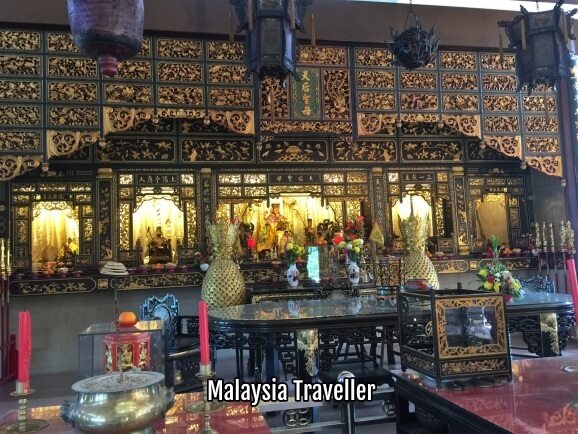 Over the course of a number of visits I have put together this review of a dozen Port Dickson beaches and give you my suggestions on which are the best. My rankings are based mainly on water cleanliness and sand quality but I also take into account amenities such as availability of water sports, restaurants, shops, changing rooms and parking. I list them below in geographical order travelling from north to south. Pantai Tanjung Gemok is sometimes spelt Gemuk and also known as Glory Beach after the Glory Beach Resort which is located here. It is the only beach on my list located north of Port Dickson port and town centre. It had a quiet, sleepy feel to it. The sea was calm and kids were swimming in it during my visit. There was no obvious pollution even though a power station and the port were close by. Locals were fishing. In front of the Glory Beach Resort there was hardly any sand (maybe high tide). A small area was fenced off and a sign said it was a turtle hatchery. VERDICT. Nothing very attractive here. Convenient if you are staying at the Glory Beach or Lexis, otherwise go elsewhere. Costa Rica/Le Paris Hotel Beach. I visited a small beach in front of the Costa Rica Apartments and Le Paris Hotel building located close to the town centre. The sand was orange and a bit stony. No body was swimming and a fisherman had the place to himself. Offshore oil platforms and ship loading facilities could be seen. No facilities apart from those at the hotel. VERDICT Ok if you want a quiet place to fish but otherwise there are better beaches elsewhere. Batu 1, Beach Road. This open beach area has stacks of places to park but there are signs saying swimming is prohibited. I am not sure why because it looks reasonably clean and not too rough. Here you can see one of Port Dickson's many half built and abandoned high rise building projects. It is strange that there should be so many of them in PD. It is as if construction permits were handed out to people with big ambitions and shallow pockets. These crumbling unfinished tower blocks are an eyesore and should be demolished. VERDICT OK for courting couples to watch the sunset or for a seafood meal. Not suitable for swimming. Corus Paradise Beach. This is not a public beach but is for resort guests only. I am only including it because I took a look around. They have tried to create a tropical lagoon in front of the hotel but the water looks rather murky. Hotel guest were using the pool rather than the sea. Pantai Bagan Pinang. One of the better beaches. At the northern end a river discharges into the sea. The river was not too grubby but no doubt that varies with the weather. Better to avoid that end for swimming although the fishermen seemed to like it. The sand quality was good and clean. A group of happy girls were being towed around the bay on a banana boat. There is plenty of parking here. There are toilets and showers and a shop to rent windsurfers, kayaks, beach volleyball, and life jackets. There is a restaurant and picnic tables. VERDICT A nice beach. I rank this 4th BEST BEACH on my list of Port Dickson beaches. Pantai Saujana. Fine, white sand and calm, clean water with no rocks hidden under the surface. Jet-skis, speed boats, banana boats for hire. Good parking. Food stalls, toilet and shower available. Trees for shade. VERDICT. I rate this 2nd BEST BEACH on my list. Pantai Nelayan. This beach was a shocker! People were camping up one end but it was filthy with litter further along. VERDICT. I suppose the beach can be cleaned up but for now AVOID. Pantai Cahaya Negeri. One of the hotels on this beach, Bayu Beach Resort, claims this is Port Dickson's best beach and I think I would agree. It has a broad expanse of fine white sand and the sea water looks clean. The beach is a bit lacking in eating outlets and facilities unless you are staying in one of the resort hotels lining the beach but there is a food court opposite the Bayu Beach Resort. VERDICT. I rank this as the BEST BEACH on my list of Port Dickson Beaches. 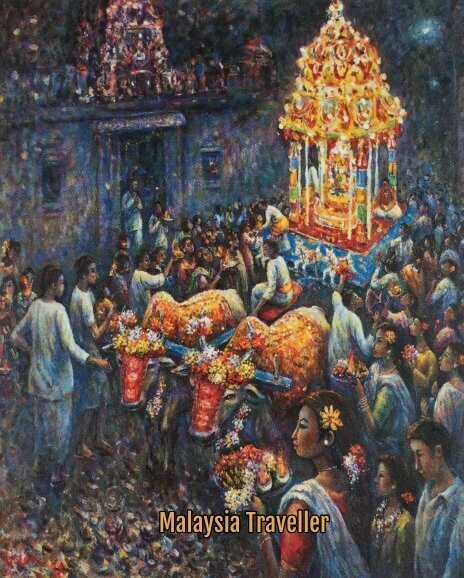 Teluk Kemang/Sri Purnama. 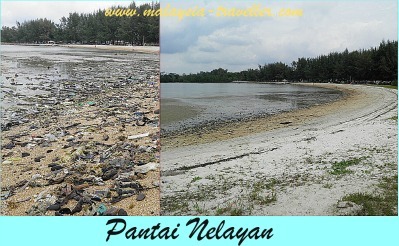 I have linked these beaches together because it is not clear where one starts and the other one finishes. Teluk Kemang is the busiest and most popular of Port Dickson's beaches partly because of the street market atmosphere in the stalls in front of the beach and the wide variety of food stalls and restaurants. The beach itself has orange sand and the sea water quality is not bad. There are plenty of water sports vendors here. There is a big carpark but it gets very busy at weekends. VERDICT. I rate this as 3rd BEST BEACH on my list. Slightly further south on this stretch of coastline is the Thistle Port Dickson Resort with its own 3km private beach. I have not yet visited so I am unable to rate it. Blue Lagoon (Pantai Tanjung Biru). The Blue Lagoon was sadly not looking very blue on my last visit. The beach was strewn with debris, much of it natural vegetable matter washed into the sea by rivers, but also a fair amount of man-made rubbish. I risked a dip in the sea but it did not seem very clean. VERDICT. Not one of my top four best Port Dickson beaches I'm afraid. Cape Rachado. This narrow headland contains a small forest wildlife reserve, a historic lighthouse and, at the end of a 30 minute or so hike, a secluded and charming little beach. The sand quality is good but it is not the best beach for swimming due to sharp rocks under the water. 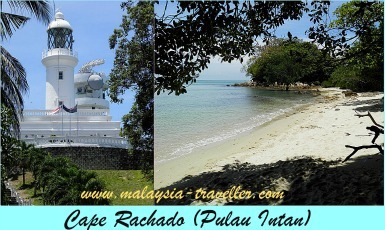 You can read about Cape Rachado on my blog. VERDICT. Not really one of the best Port Dickson beaches for swimming but fun to explore and the hike and lighthouse make it an enjoyable day out. I hope you find this review of the best Port Dickson beaches helpful. 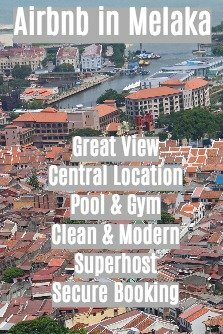 If you need accommodation in Port Dickson and would like a neutral opinion please refer to my Port Dickson Resorts page for ideas.